Browsing through watch catalogs from the 1970’s, you’ll find a wide variety of racing chronographs. Most famous are perhaps the Heuer chronographs and Omega Speedmaster models, but also lesses known models (but nevertheless interesting) like those Yema Rallye watches for example are worth investigating. 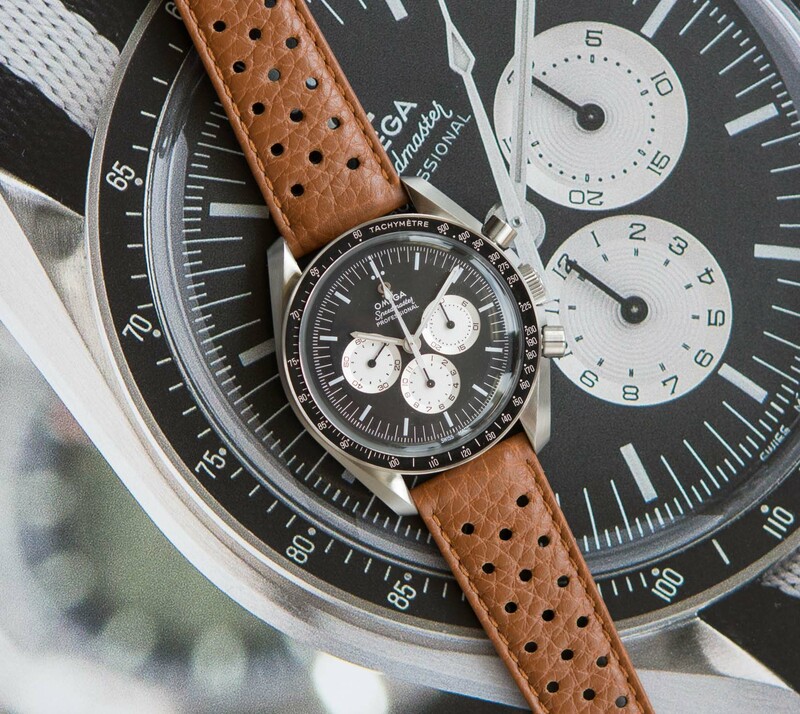 A chronograph that was meant as a racing watch, should also be worn on a nice racing strap. We added two racing straps to our collection, a 20mm brown and 20mm black strap. Perforated calf leather of the highest quality from Italy, with a 16mm buckle. Click here to go directly to the product page of these racing straps.